I'm afraid that I haven't much of a harvest to share for harvest Monday this week. It isn't that there is nothing to harvest on the plot, just that we haven't been there to harvest anything. Also we haven't needed anything to be harvested as we have been away from home for half of the week. Our meagre pickings have been limited to a few salad ingredients to add the lunchtime sandwiches. The garden greenhouse is continuing to provide us with a sprinkling of ripe tomatoes and the Woodblocx raised bed has a plentiful supply of salad leaves. I did pick on tomato from a very opportunistic tomato plant. Last year I bought a small rose as a pot plant for the house and when it had finished flowering it was planted in a container to grow on in the garden. I don't know what the variety is but the rose is very pretty and worthy of a few photographs. One day as I was taking its photo I noticed that it wasn't the only occupant of the pot. Alongside it was a small tomato plant. I decided to allow this to grow and it eventually set fruit. 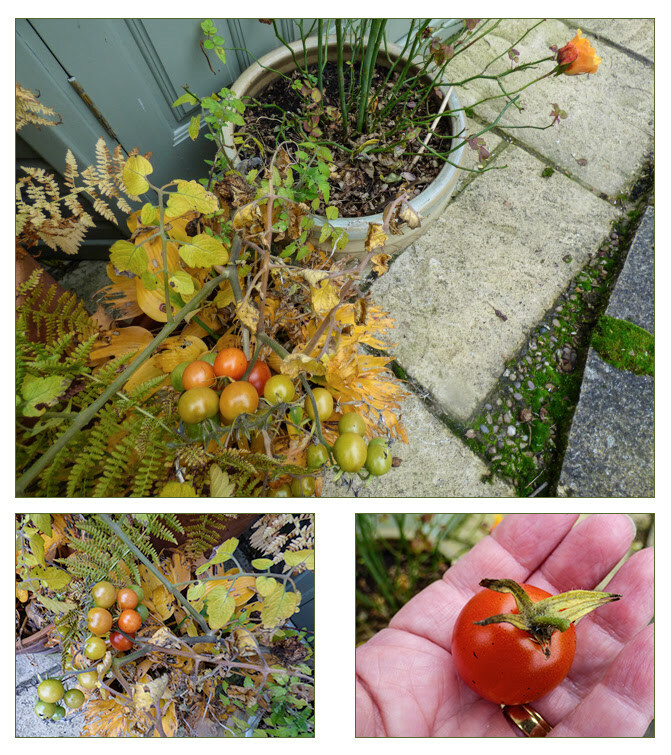 Last week a tomato was ripe enough to pick. I have no idea what type of tomato it is - maybe some sort of cross from last year. Unfortunately I am afraid the tomato failed to impress in the taste stakes. No doubt the plant will soon be killed as the weather deteriorates. You may remember that I brought some of the smaller shallots home from the plot to pickle which I managed to do before we went on our travels. As the gardening season slows down, many garden bloggers are diversifying a little. Some are writing more about their cooking and others have hobbles such as quilting or knitting. Although I have been known to click a couple of needles together occasionally, I can’t imagine anything that I may write on such subjects would be even remotely interesting and so I thought I would include some posts about my interest in photography. 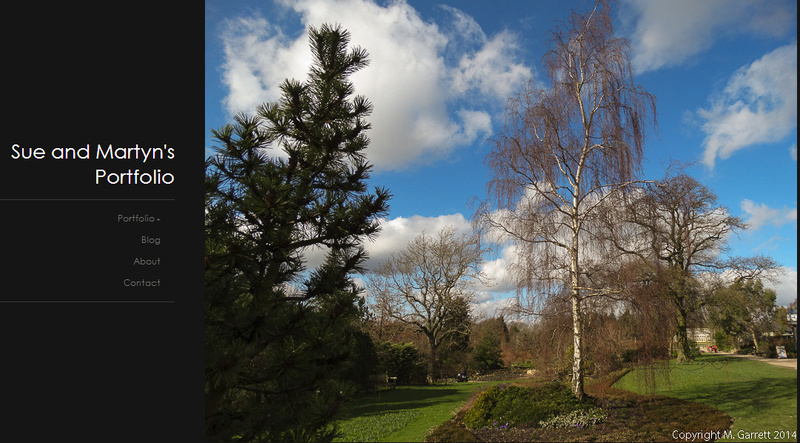 I know lots of garden bloggers share interest and so I thought it would fit in comfortably. I’m going to start with a bit of background as to how my early ‘ take the camera on holiday’ perspective changed to a ‘don’t go anywhere without my camera’ one. The initial reason for the change in attitude came when technology in the form of the digital camera released me from the constraints of concern about wasting film and the disappointment of waiting over a week for a film to be developed only to find that the photos were not very impressive or worse still the negatives had been lost or spoiled when developing. On top of that there were the extra hazards of forgetting to wind the film on, film snapping in the camera, light getting in and ruining everything and … I could go on. As digital cameras improved so my interest grew. I can understand why some of those who had spent years perfecting the art of film photography were against digital photography. They saw their skills being eroded as people like me started to take half decent photos. The new digital cameras provided the means but it was starting a blog, creating websites and producing multimedia resources that provided my reasons for taking more photographs. My photographs were really taken to illustrate and record. It was almost just a matter of pointing the camera and pressing a button. I didn’t consider anything other than the object that I wanted to capture an image of. I didn’t take into consideration that my shadow could dominate and be the main thing that any viewer focused on. Nor was I aware of objects in the photo that detracted from the general view. I had sort of photographic tunnel vision and was only aware of the object on which I was focused. So how have I changed as a photographer? I still take photographs to illustrate and record but I am no longer limited to this and now take photos just for the sake of producing a pleasing image. I am more aware of the overall composition of my photographs which means I take a little longer to view the shot before pressing the button. My photography is no longer limited to what I can use on my blog. 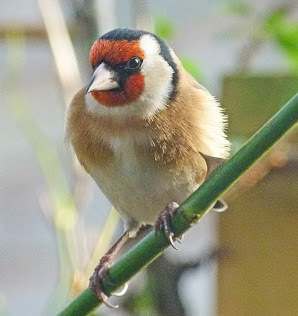 Although I do now include a Wordless Wednesday post through which to share some photos, I also share some of my favourite photos on social media and Martyn and I have an online Zenfolio photo album - there is a link to this on the sidebar of the blog. It does help that we share an interest in photography as this way when we are out and about one of us isn’t hanging around waiting for the other to finish lining up the ‘perfect’ shot. There is so much still to learn not least due to technical developments in cameras and photographic software which no doubt will continue at a pace that we struggle to keep up with. 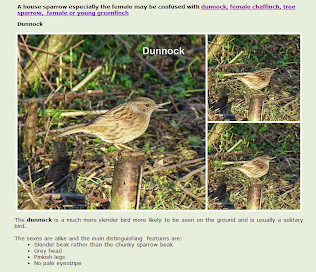 There are plenty of tutorials on the Internet which will give me something to think about over winter and brilliant photographers like my blogpal, David Ford who has guided and inspired me to try new things. In later blog posts, hopefully by sharing what I have learned I can show you that there is a lot more to this photography lark than meets the eye. Please feel free to pass on as many tips as you like, I am ever ready to receive them. We aim for our blogs to be complementary to one another and rarely publish exactly the same thing although we may sometimes write about the same subject and we do sometimes 'steal' one another's photos. Whilst I tend to stick to stills photography, Martyn enjoys shooting video too. He recently shot a video tour of our allotment that I am sharing here in case you missed it. If you have already seen the video on Martyn's blog just come back again later. If you have never visited Martyn's blog why not take a peep? Not every pear shaped fruit is a pear and not all pears are pear shaped. The two plastic bags above contain our smallest shallots which I brought home to pickle. In the group photo above you may just spot some small - very small - sprigs of broccoli. Martyn cleared one of the brassica beds and found this offering before consigning the rest to the compost or - in the case of the roots - the wheelie bin. Last week marked the last of out actual apple harvest. This time the apples in question were Queen Cox from one of our small apple trees. We had two - cut open of course - with our coffee break during one visit to the plot. On another day we spotted a couple of Egremont Russet left on the tree. Nothing can beat a ripe apple picked fresh from the tree although equal enjoyment was provided this week by our now ripe and drippingly, juicy pears. I think this year has been our best ever apple and pear year. They seem to have enjoyed the conditions. 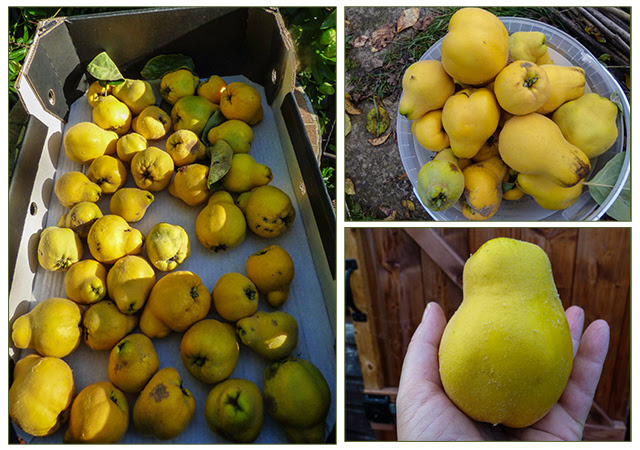 We have a quince tree on the plot that people often mistake for a pear. You can see why. This year it is loaded with fruit. It's the last of our fruit to reach maturity. Each year as summer ticks by we are convinced that the fruit just isn't growing and then it seems to suddenly put on a growth spurt. It loses its furry coat and starts to give off a lovely aroma indicating the fruit is ready to be picked. 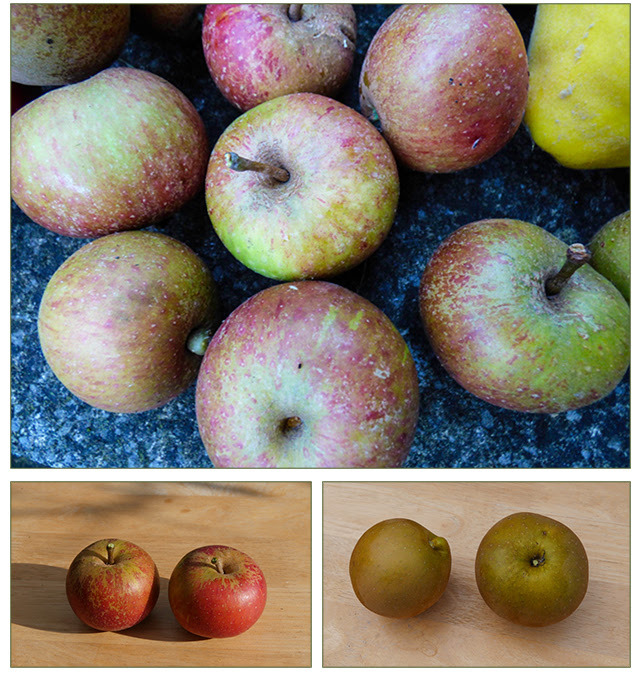 The difference in colour of the raw fruit is due light conditions. The large photo is most true to life. 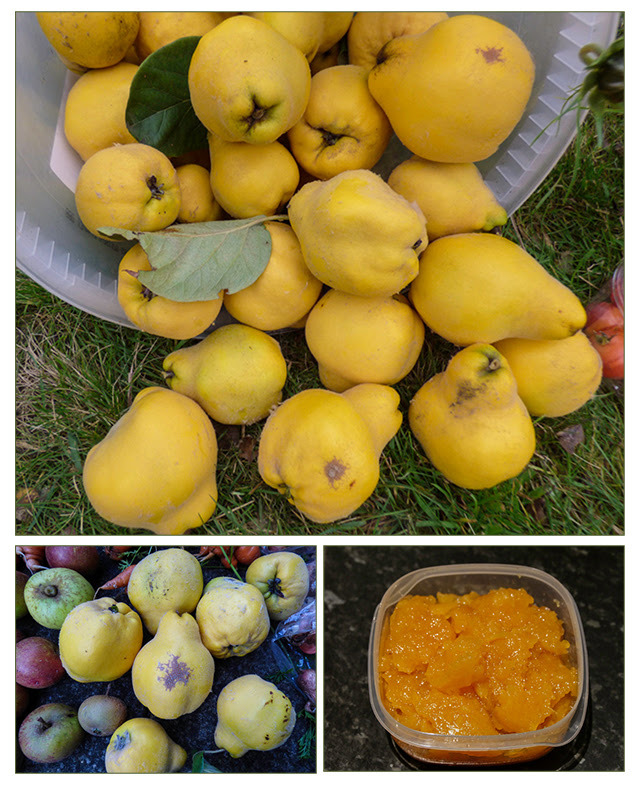 All the quince photos, except for the stewed fruit, are of different fruits and I reckon we have as many again left on the tree - it's been a very good year for quince too. The fruit isn't something to be eaten raw. The centre is reminiscent of a brick. We pick our fruit in batches to be stewed and frozen. I keep being asked what recipes we create from our fruit and my reply makes us sound very boring as most is either eaten raw as an after dinner/lunch dessert or stewed and frozen. Some will be eaten throughout the year on top of our morning porridge but no doubt some will end up being used in tarts, pies and crumbles. The fruit is so delicious that we don't like to add too many other ingredients to it and use as small an amount of sugar as we can get away with. On Saturday we had an added bonus as a Delsanne pear had fallen from the tree - I must have missed it when picking. Fortunately it was undamaged and hadn't been nibbled. Not everything has done well this year though. 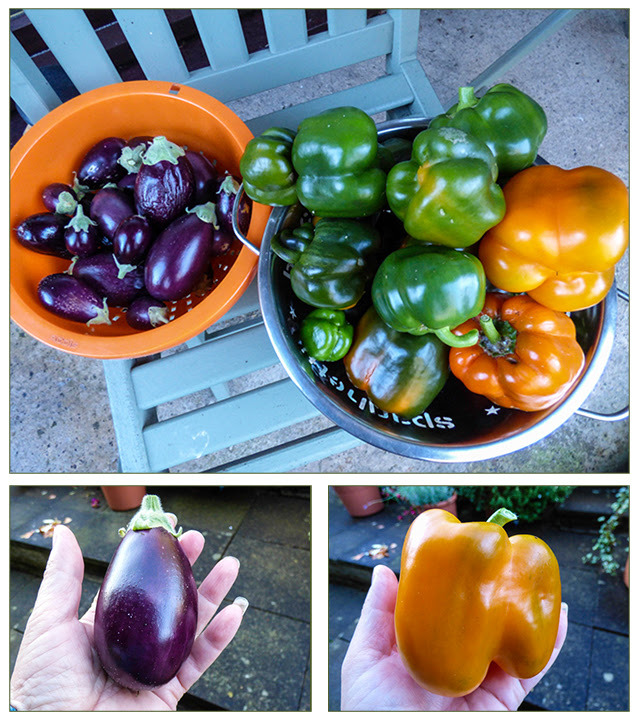 It hasn't been a brilliant year for peppers and aubergines. Ours are grown in our garden greenhouse where this year the lack of sunshine has impeded growth and ripening. The aubergines have remained very small. Fortunately the variety we grow - Jackpot - produces fruit that are edible when very small. The peppers weren't going to ripen any further and so both peppers and aubergine plants have been stripped and fruits frozen. The autumn raspberries are not enjoying the lower temperatures one little bit and I don't expect to pick much more fruit. On the other hand the alpine strawberries should continue to fruit until the first real frosts which usually occur during November. We are still managing to pick a few tomatoes, the ones in the photo are from outdoors on the plot. The plastic bag above contains a batch of chives that I brought home to freeze. I read somewhere - maybe on one of your blogs - that I could chopped up the chives and fill ice cube trays with the clippings and freeze. Then I could tip out the trays and end up with little cubes of frozen herbs. It didn't work as the chive cubes crumbled when tipped out. Still I have ended up with a small bag of frozen chopped chives. I want to try to freeze more herbs so maybe I will need to add a drop of water to the cubes so the herbs freeze in a little ice. Anyone any tips? Finally our mini harvest on Sunday confirmed to me that the seasons are shifting. Swede and our trademark wonky carrots! It's been a while since we grew swedes so we will enjoy them all the more. 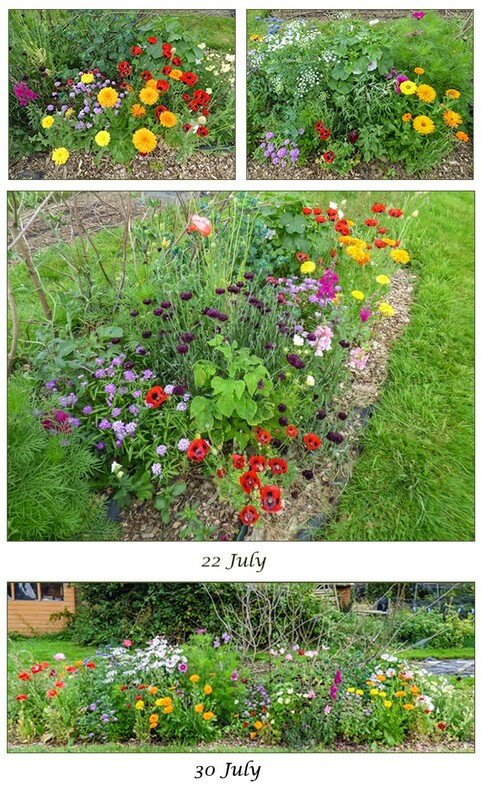 If you are a regular follower you may remember that I like to plant up at least one bed with summer flowering annuals. The flowers double up as cut flowers and payment to the industrious creatures that make such a good job of pollinating our plants. I've been fairly pleased with how it has turned out each year but there had always been plenty of scope for improvement and this year has been no exception. Last year I started a selection of annuals in small pots in the greenhouse. The problem with this is that the pots take up quite a lot of space when there are lots of other things vying for position. 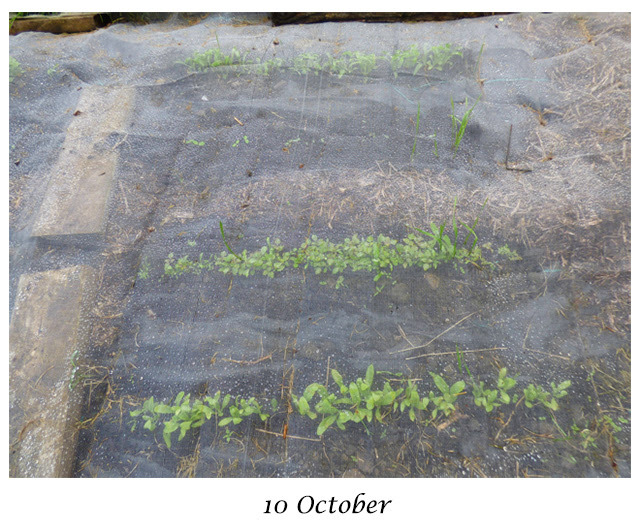 As a result my sowing timetable is governed by when there is some free space that vegetable seedlings don't take precedence for. This year I decided to try and cut down on space by sowing in smaller module trays. 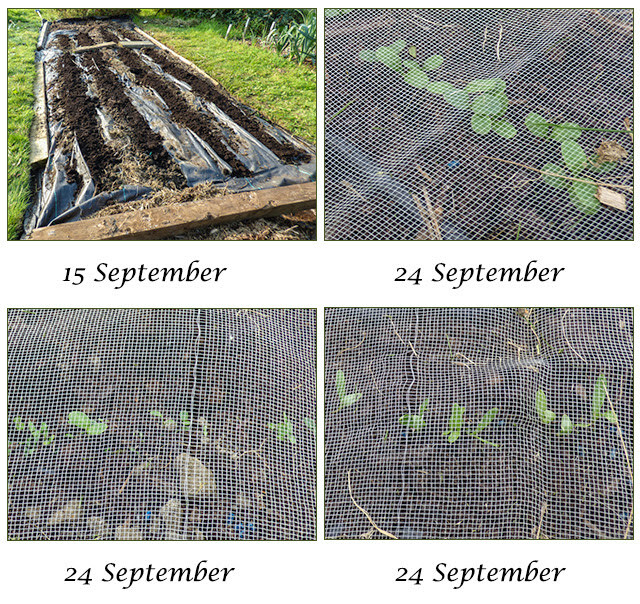 I sowed three batches from 17 April to 31 May. The space problem lessened but the seedlings didn't grow as well and to avoid them becoming pot bound I had to plant them out when they were still very small. 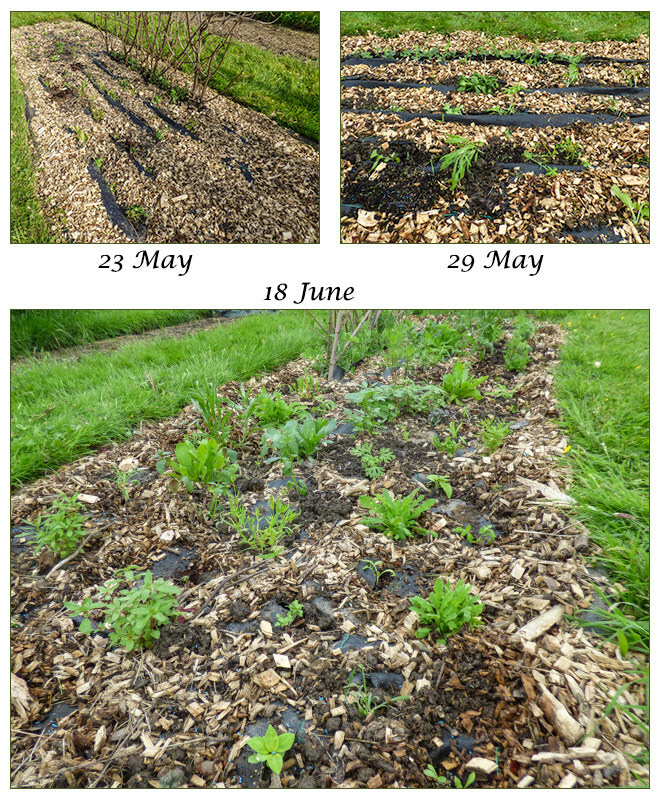 Each year the seedlings seem to sit in the ground doing very little other than recover from the shock of being planted and each year I think that the whole bed is going to be a disaster but eventually thinks take off. Some varieties fare better than others but eventually we usually end up with an attractive display. Each year I have quite a lot of seeds left over so this year I decided to try another tactic. 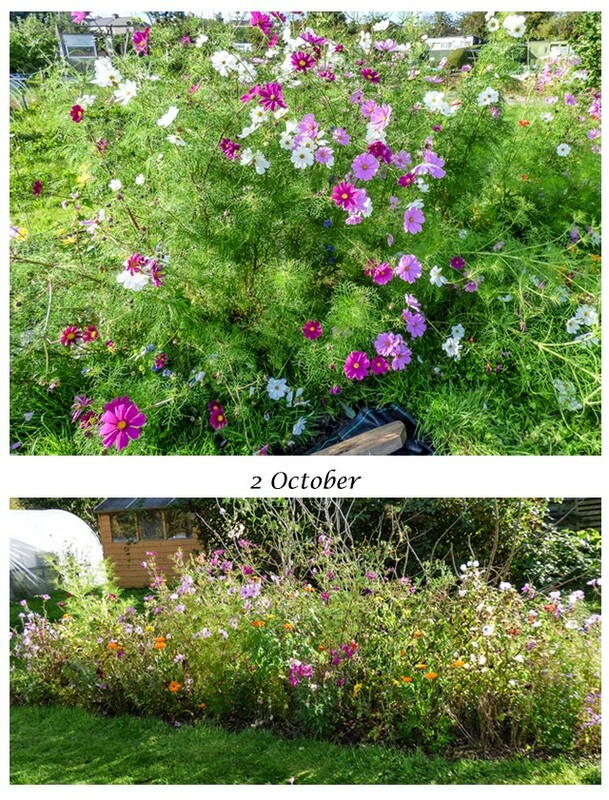 In mid June I mixed all the left over seeds together and sowed the seed quite thickly in a shallow trench filled with compost. The seeds germinated and as they did it became apparent that the seeds had been sown too thickly. 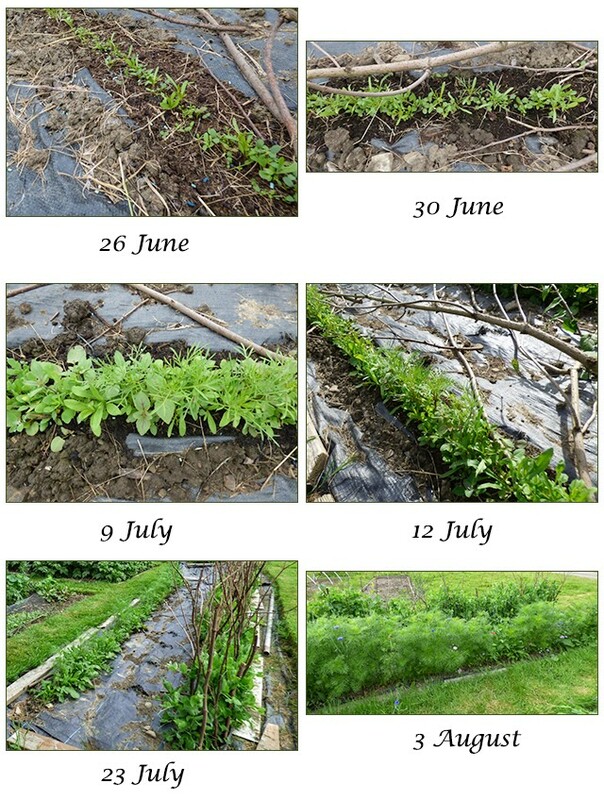 As a result some plants such as cosmos dominated and squeezed out the less vigorous varieties. As expected the later sown varieties were really just coming into their own as the early bed was fading but the plants that dominated grew stronger and didn't suffer a set back. 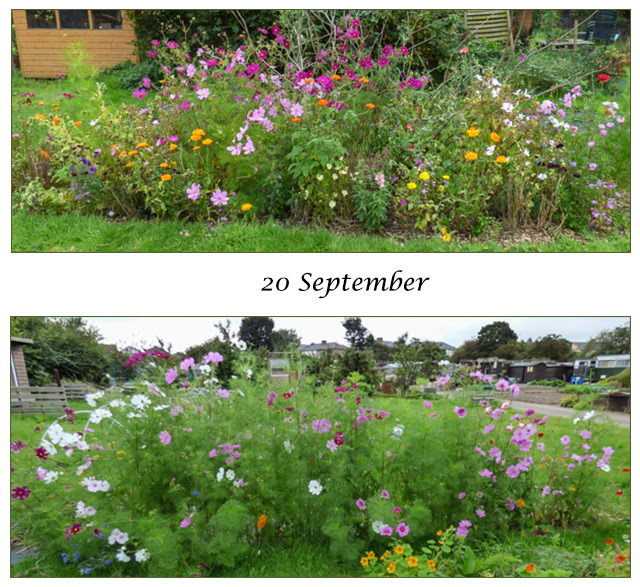 Poppies and cosmos in particular thrived. Next year I will grade the seeds according to their ultimate height before mixing so that the shorter plants are given a fair chance. I will also sow the seeds more thinly. I really need to experiment with how early I can sow directly in this way. If I need to sow some more tender plants in the greenhouse where they should have more space. I am also experimenting with sowing annual seeds now to overwinter. My choice of varieties was dictated by what was available in the local garden centre. I bought mixed cornflowers and calendulas and a pack called hardy annuals tall cut flower mixed. We usually have self sown calendulas and so I imagine these should survive. All except the larkspur germinated fairly quickly. However by October 10 even the larkspur had germinated in spite of its time in the freezer. The larkspur is the second row down - if you look really carefully you can just make out some seedlings. Now it's just a case of seeing if the seedlings survive winter! Fingers crossed. We can no longer deny it - autumn is definitely here! A small but welcome surprise. 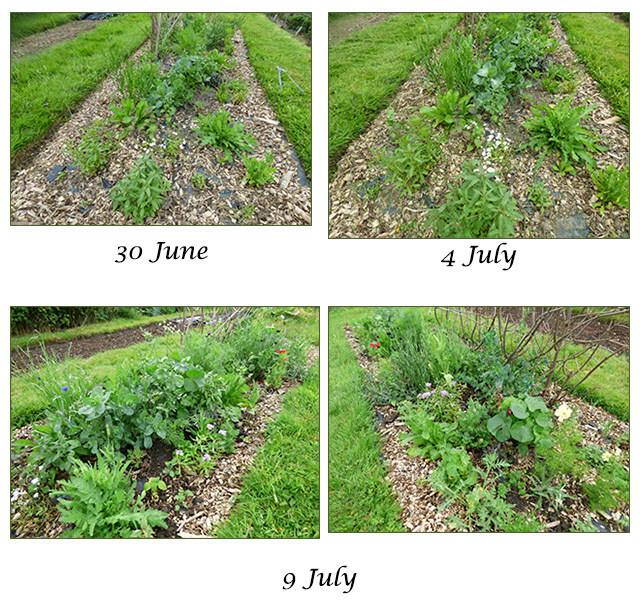 Having returned from our break in Somerset we were keen to visit the plot to gather more of the must pick crops. In the plastic bag are the last few late sown peas. Many of our carrots have been spoiled due to splitting. I reckon this is down to the weather this year and so has really been out of our control. If the pests don't wreak havoc the weather will. I picked the remaining Invincible pears which have now been set out to finish ripening in a spare room. As you can see they ranged in size from huge down to "shall I bother picking?" The first lot of pears are now ripe and are juicy and delicious. One of our other pear trees - Delsanne - wasn't as productive but I picked the few pears on offer. These pears are not the traditional pear shape and could be mistaken for a russet apple. If you go back to the group harvest photo you may spot the pears nestling on top of the bucket of apples. On the subject of apples, whilst I picked pears, Martyn picked more apples from out apple hedge. He filled a bucket with the remaining Laxtons Superb type apples and filled a box with apples of another variety. We are pretty sure that these are Golden Delicious. We decided that it was time to bring in the Crown Prince squashes. The vines hadn't been as productive as usual but there were plenty of fruits to keep us happy and these have now joined the apples in the summerhouse. There was a sprinkling of autumn raspberries but these are now being spoiled by the weather. As well as the alpine strawberries did you notice a surprise addition. Fenella has had a second wind. I cut back the old leaves a while ago and the plants regrew and have produced lots of flowers that surprised me by setting fruit. I didn't expect any to ripen and I'm guessing the birds didn't either as although the nets have been removed the above ripe specimen survived in perfect condition. My question is will this second coming weaken the plants? Should I removed the flowers and fruits or should I wait and see whether I end up with more nice surprises? On the subject of surprises, Did you notice the small posy of sweet peas. I wasn't expecting that either. 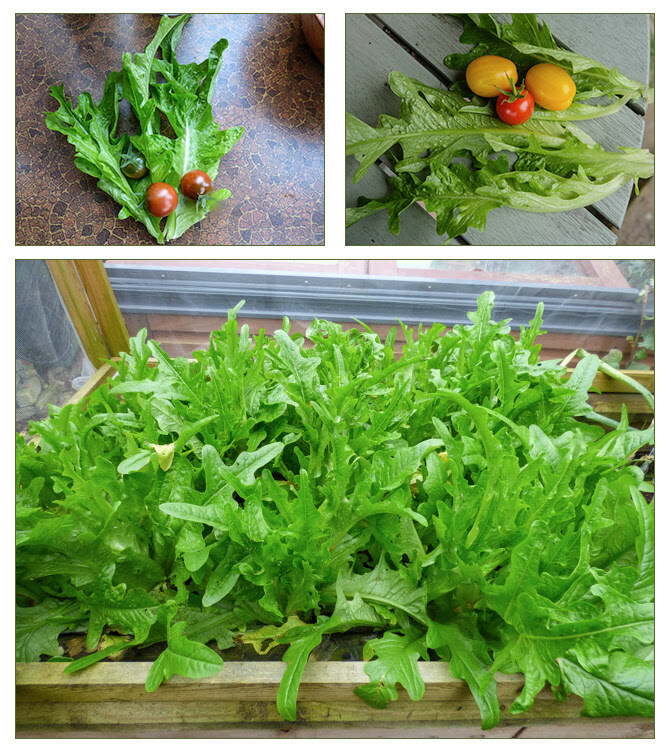 We are still picking a few small ripe tomatoes from the garden greenhouse and we are gathering salad leaves and a few spring onions from the Woodblocx raised bed in the garden. Below are just a couple of sample photos as we don't always remember to take a photo before we have eaten our little harvest. Gymnosporangium sabinae, aka Pear Tree Rust.